The US Countering Iran’s Destabilizing Activities Act of 2017 contains a separate section called the Countering Russian Influence in Europe and Eurasia Act (“CRIEEA”). CRIEEA authorizes – and at times requires – the President to impose significant new sanctions on the Russian energy, financial, and defense sectors, imperiling the completion of the Russian Nord Stream 2 gas pipeline. It also hits European businesses involved in the project. The legislation can impact a potentially large number of European companies doing legitimate business under EU measures with Russian entities in the railways, financial, shipping or mining sectors, among others. Now the US punitive measures could include the pipelines crossing the territory of Ukraine, as well as pipeline projects in the Caspian region and the development of the Zohr gas field off the coast of Egypt. The law is negatively affecting the US relationship with its European allies. The US is striving to control the EU decision-making process. According to Washington’s logic, building a pipeline to reduce costs and raise reliability and efficiency proves that Russia is politically motivated, unlike the US with its new law adopted to pave the way for American LNG exports to Europe using coercive measures! 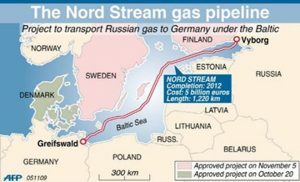 The US staunch allies ready to cede economic profits for Washington’s friendship – Poland, the Baltic States, and, since recently, Denmark – are mobilized to hinder Nord Stream-2. Not an EU member but a member of Energy Community, Ukraine is also going to any length to obstruct the project. Poland tried to reverse the EU decision through the courts but to no avail. In July, a court in Duesseldorf, Germany, lifted restrictions on Russian gas company Gazprom’s access to the German Opal gas pipeline, online documentation by the court showed, echoing a ruling on July 21 by the European Union General Court. Defying the US pressure, the EU exempted OPAL gas pipeline (delivering gas from Russian Nord Stream to Europe) from the Third Energy Package after 6 years of debates. 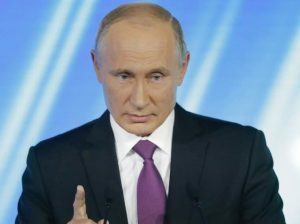 The decision opened the way for Russian plans to expand Nord Stream’s capacity and bypass both Ukraine and Poland as a gas transit route. The Western companies have immediate interests in Nord Stream 2, which is a joint venture between Gazprom (50% share) and five of the largest European energy companies: E.ON, OMV, Shell, BASF/Wintershall and Engie (each 10% share). Actually, this is a déjà vu story. Washington has a long history of meddling into European energy policy. The Yamal and Nord Stream 2 gas projects present several striking similarities. 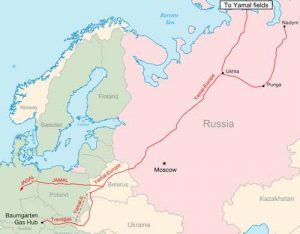 In 1980-81, the Yamal pipeline (pictured) (Urengoy-Pomary-Uzhgorod) project was presented to be negotiated between the Soviet Union (Soyuzgazexport) and Western Europeans (Ruhrgas and Gaz de France). Back then, West Germany’s Chancellor Helmut Schmidt was willing to preserve the achievements of Willy Brandt’s Ostpolitik. The USSR and West Germany concluded an agreement on the deal in November 1981. The joint project was fiercely fought by President Ronald Reagan. He saw Yamal through geopolitical lens and considered it one of the Soviet Union’s significant tools aimed at spreading Moscow’s influence over the Europeans, and in particularly over NATO. The US launched a coordinated diplomatic offensive aimed at convincing European allies to abandon their participation in the Yamal project. It offered to supply West Germany with energy in the form of coal, but his proposal was turned down as not viable economically. Those were the days of great tensions between the West and the East marked by NATO’s deployment of intermediate range ground-based missiles in Italy, the UK, West Germany, the Netherlands and Belgium. In 1979, the USSR launched an operation in Afghanistan. The US insisted the Yamal project threatened NATO security just like Nord Stream-2 does today amid the Russia-West divisions over Ukraine and a host of other issues. President Reagan used the geopolitical tensions as a pretext to deprive the Soviet Union of profits. With Germany refusing to bow, the US administration used the Polish crisis in 1980-1981 to impose sanctions banning sales of equipment to the USSR. 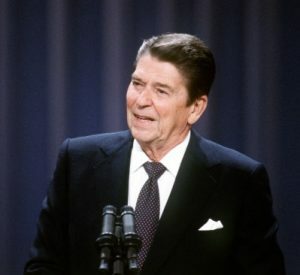 In December, 1981, President Reagan banned all the gas and oil equipment and technology exports produced in the United States to the Soviet Union. In June, 1982, the US administration announced the extension of sanctions on all foreign companies exporting equipment involving American technologies. The US sanctions drove a wedge between the United States and its Western European allies, as the latter refused to follow the lead. The landmark deal went through to be joined by France, Austria and Italy. West German, French, Italian and British companies won multi-million contracts for pipes and various equipment orders. The America embargo was lifted in 1982. In 1984, the Yamal pipeline became operational to benefit all. Today, the US is using Ukraine instead of Poland, but the goal and the methods to achieve it remain the same. If Germany had not had the advantage of stable gas supplies from Russia, it would not have become the locomotive driving the European economy and the EU leader defining the decision making process. Other European countries have also gained a lot. Today, the demand for Russian gas keeps on growing to make Moscow increase supplies via the pipeline going through Ukraine and Nord Stream. Europe badly needs the stable supplies if it wants to achieve economic progress. To protect its vital interests it has to defy the United States. History appears to be repeating itself.